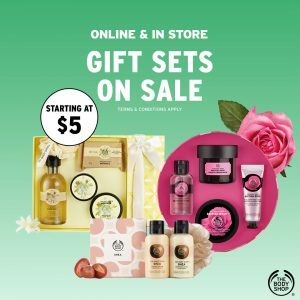 Gift Sets on Sale, starting at $5! Valid 9/15-9/20. FREE 200 ml Body Butter with any $60+ purchase with code freebodycare. Valid through today; automatically added to cart with code. FREE Banana hair mini set (shampoo & conditioner) with any $60+ purchase with code FreeBanana60 Free Shipping on ANY order! Valid until 9/30!